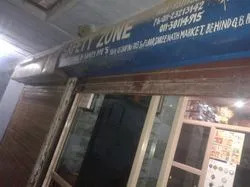 Established in Delhi, we, Safety Zone, are counted among the leading Manufacturers, Suppliers and Traders of world-class Safety Products. We offer a vast range of products for improved personal safety to clients. Our range of products includes General Safety Products, Medical Disposable Products, Body Protection Products, Safety Goggles, Foot Safety Products, Ear Safety Products etc. These products are manufactured at our ultramodern infrastructure facility as per the client’s furnished specifications. Latest technology is used for the manufacture of these safety products in stringent compliance with industrial quality standards. Our products are highly acclaimed for their user-friendly operation, reliability and damage-resistance. Our research and development team incorporates the latest features into our products in order to provide the maximum benefits at the most reasonable costs. These user-friendly products are known for their easy usage and damage-resistant features. We offer our products under the brand name Garrett, Vaulfex etc. We have established our trustworthiness as the leading player in the market for safety products. We stock bulk quantities of products at our spacious warehouse facility. This helps us cater efficiently to the client’s bulk and urgent requirements. Our products are highly demanded in industries where people work in hazardous conditions. Regular improvisations are carried out at our infrastructure facility to bring necessary changes into the products based on the latest market developments. Stringent quality checking is carried out at our infrastructure facility under the supervision of industry auditors. The quality of our products is checked at each and every stage starting from the procurement of raw materials till the final dispatch. Our diligent and dynamic workforce interacts with clients regularly to address their queries. We conduct regular training sessions to help our employees stay updated on the latest developments in the market. Under the leadership of Mr. Alam Khan, we have been able to establish fruitful long-lasting relationships with our clients, which have proven to be mutually beneficial. Our commitment to quality and ethics has helped us earn the client’s valuable trust and garner a loyal client base. The company is assisted by a capable team of engineers and experts, which can meet the toughest of deadlines with impeccable coordination and skill. The team can meet the customized and bulk orders for the Safety Products with ease, and its research-oriented background keeps it abreast with the ongoing developments in this field. The strength and durability of the Safety Products is of crucial importance for the users and we leave no stone unturned in offering a range that is unbeatable in these aspects. The pre-production and post-production quality control measures include inspection of the raw material and end products, with the production being under close watch as well. We have set impeccable standards of quality by offering products that score high on the quality parameter. We have on board a team of professional auditors who audit the quality of our products on a regular basis to assess their compliance with industrial standards. The quality assessment begins right from the sourcing of the raw materials and ends with the final delivery of the products. Our quality parameters have been well laid out to ensure that the expectations of the clients are met.